This Montana Sideboard takes a classic sideboard and pairs it with a touch of modern. Its beautifully designed doors, tapered legs and hand worn edges are just a few of its defining touches. There is an adjustable shelf behind each door which is great for the varying heights of dishes and serving bowls. Additionally, you will find room for storing 8 bottles of wine in the wine rack. However, if you do not drink wine that is ok. It is easily removable from the front. Another feature you will love is the blum, undermount slides that make opening and closing the drawers a breeze. 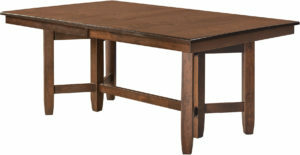 Finally, don’t forget to check out the Montana Trestle Table and Sideboard if you are looking for complimentary pieces. For a quote, click on the “Customize This Product” button. 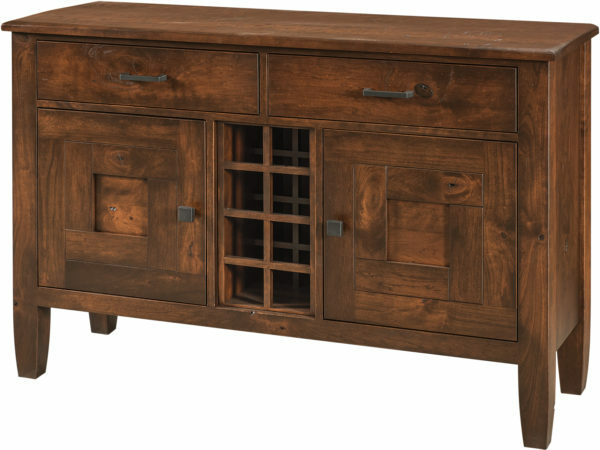 Then, choose from the wide selection of options available for this Montana Sideboard. Please consider visiting us at Brandenberry Furniture in Shipshewana, Indiana. 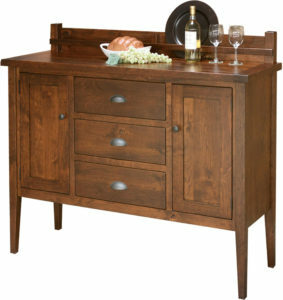 Then, you can see the wide selection of our quality crafted, solid wood sideboards in person. Additionally, you can call or e-mail us with any questions you may have, for help in customizing this sideboard to meet your needs or for a complimentary price quote. We look forward to assisting you in any way we can.